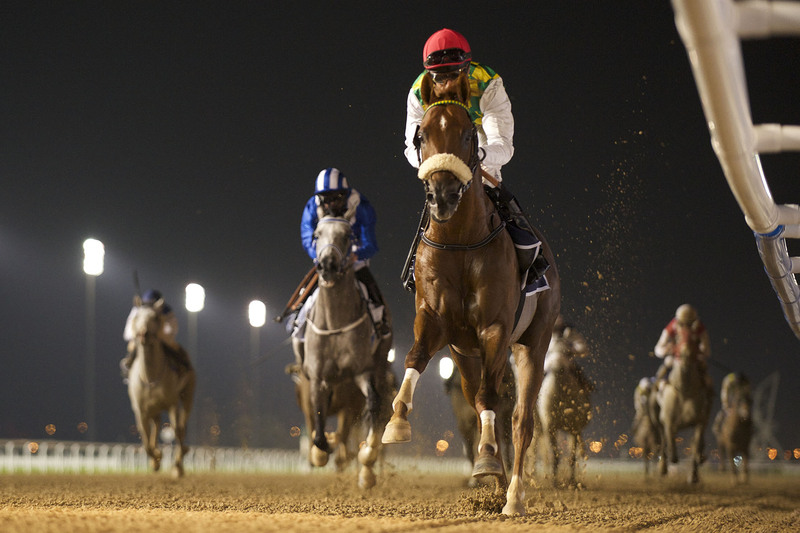 The first of the four Group 1 PA races that take place on the Meydan racecourse was run on the 7 January. It was the Al Maktoum Challenge Round 1 over 1600 meters, which is the first of three legs that takes place once a month. Twelve horses had lined up at the start of this event and it was the Patrick Dobbs partnered 8 year-old Thakif FR (Mahabb x Sheena) who lifted this first leg. The second leg, run over 2200 meters on the 4 February, was won by the Wayne Smith partnered 6 year-old Haajeb FR (Mawood x Shumoos). These two Purebred Arabians are both owned by HH Sheikh Mansoor bin Zayed Al Nahyan and were both bred at his Normandy stud. They are trained by Nacer Samiri. 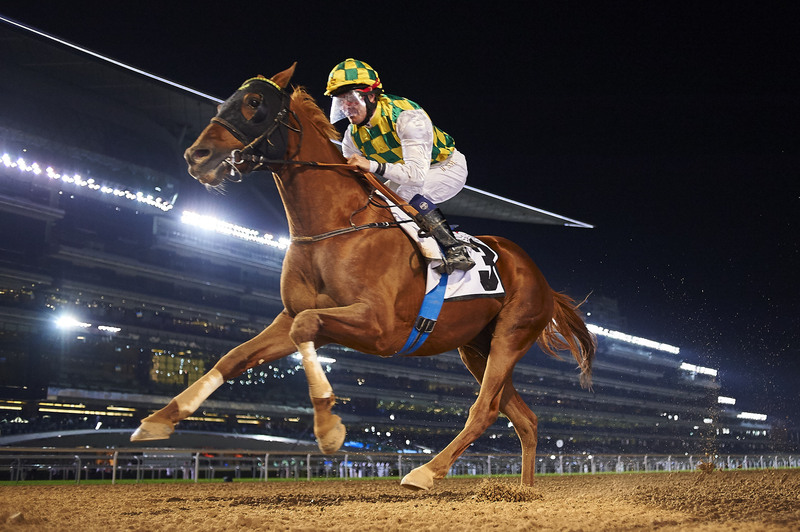 The third leg of the Al Maktoum Challenge will take place on the 3 March 2016. It will be run over 2000 meters.